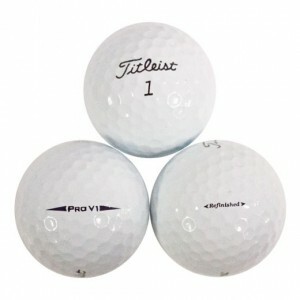 Why Choose Factory Refinished No Logo Golf Balls? What does Factory Refinished No Logo mean? 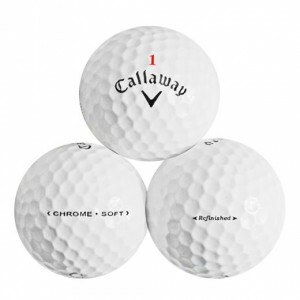 3) Our official pre-owned factory refinished golf balls are used golf balls that are reconditioned using a modern process in a factory that manufactures new golf balls. This process does not affect the playability of the golf balls, but brings their cosmetics and performance up to a level where they appear and behave comparable to new golf balls. Processed via one or more of the following steps: stripping, painting, stamping, and/or clear coating. 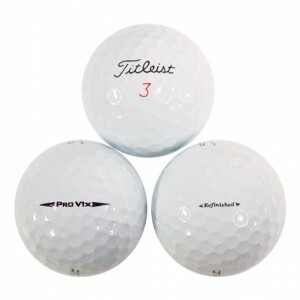 4) We only recondition style-specific golf balls, meaning only a used Titleist Pro V1x will be reconditioned into a mint refinished Titleist Pro V1x. Balls that are scuffed or have had their cover compromised are not reconditioned and are discarded. Only balls that are as close to perfect (if not perfect) in cover but are cosmetically challenged are refinished and sold. 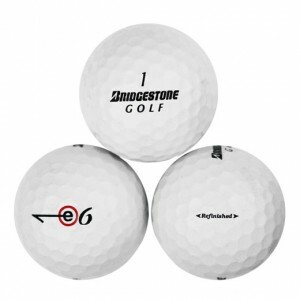 Our Factory Refinished No Logo golf balls are rated 4.7/5 stars.